It's been a kaleidoscopic week, so many extremely different things that I can hardly remember what I have done myself. Here are a few bits to give a flavour of it. The BBC project is still alive so far. (don't you like the retro logo?) It goes to the next stage now. These days BBC pitches include photos and snatches of video, and are almost like mini programmes. I will let you know when we have some news, but don't know when that will be... fairly soon,I suppose. But it all feels very much out of my hands. Our schools project is on the move. We'll be blogging about it and I'll let you know when the blog has been set up. 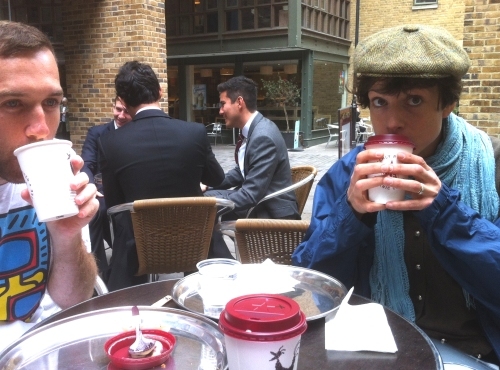 Meanwhile, Vanessa (storyteller) Frank (designer) and I had a meeting in a cafe in London Bridge to start our planning. You see we were working hard. Actually we were working. It's surprising how many of the other customers in certain central London cafes seem to be business people, such as those guys in the background. 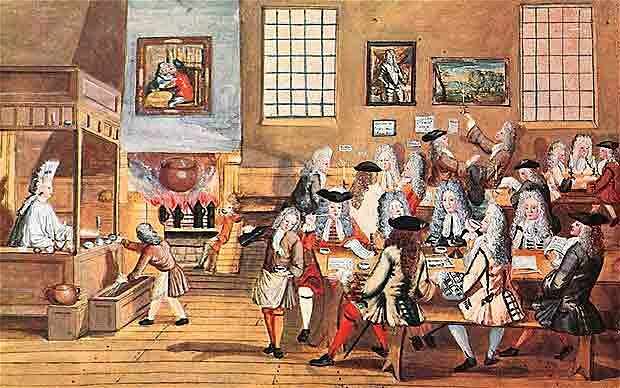 Now so many people work freelance, I guess business is done in coffee houses again in London, just like in the eighteenth century. It's time also for me to say farewell to KEMAR, the life-sized Manikin who has lived upstairs in our house for years. T no longer needs KEMAR for his work. I have always liked KEMAR's thoughtful and mysterious face. 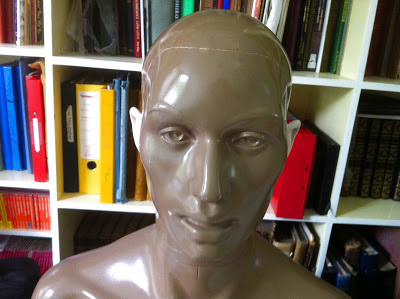 He/she is an androgynous torso, and is used for evaluating sound quality, testing headphones, hearing aids, and so on, hence the detachable white ears. KEMAR is life sized but small, a composite of male and female measurements taken from all over the To me, he/she is the kind of fairylike creature you might meet one day in a deep mysterious wood. Went to a friend's birthday party. His neighbours, who are pastry chefs, rather conveniently, made him a wonderful cake with chocolate coated strawberries, coulis, cream and all sorts of other things. Sorry the photo is a bit blurry. Most of my pics today were taken on my phone. I ought to upgrade the software to see if that will improve the camera - or at least learn to hold the thing still when I take pictures. We've had hot weather and the gooseberries were ripe at last, so I picked loads. Yay! I am a rotten gardener but thankfully, most plants seem able to grow on their own. A blackcurrant bush appeared last year against the wall and has had a good crop this year, and probably will be even better next year. And a few years ago I sowed a few poppy seeds and they went feral. They now appear all over the garden in places they shouldn't be. They look wonderful though. A neighbour told me they should call me "Jenny Poppyseed." Not sure if that is a gentle hint about not introducing plants that spread all over the place. Took various trips out to the London suburbs for various reasons. On one of them I caught this view of the distant Shard out of the train window as I returned at sunset. 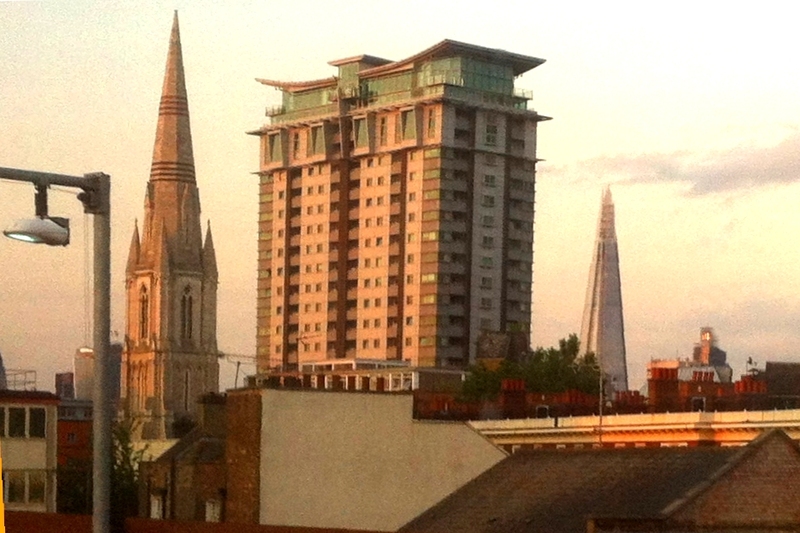 I think the Shard is London's most exciting new building for a decade (read about it here) I like the way it echoes exactly the shape of the church spire in the foreground, all lit up by the evening sun. We also made a visit to Merton, Southwest London, to visit a friend who is confined to a wheelchair, and we took him out to Morden Hall Park. It's owned by the wonderful National Trust and is a piece of countryside in the middle of London's southwestern suburbs. The River Wandle, which was once heavily polluted, now runs clear and bright amongst the huge trees. 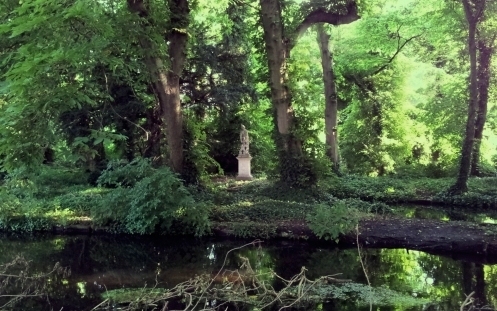 The occasional distant statue, like this one standing alone (can you see it in the centre of the picture) and the reflections of the water, add a feeling of mystery. Quite the kind of wood I imagine KEMAR living in. So much to comment upon. I found Kemar rather scary I'm afraid. I suppose if I lived with s/he then I might have a different view but that 'look' is definitely, well, hmmm vacant? I haven't been to London since the Shard was completed. My view of these ultra-high structures is rather ambivalent. I love gooseberries. My grandmother grew them. They are quite hard to come by these days although I do get them sometimes in New Zealand. They are not popular apparently and growers find them difficult to harvest and use because of their prickles and hairs. Where has Kemar gone? If he/she has been around for a long time, I hope it's somewhere dignified. Ah Morden Hall Park ... I grew up in Raynes Park, so I know exactly where you were. Good to know it's still green and peaceful (though I suspect the dens I made with my brother are long gone). Hum, I've heard of gooseberries, but never have had them before. Think it might be the next fruit I'll try when I go to the world market. What a delightfully interesting post! I do have to say that if I got up in the middle of the night and accidentally ran into Kemar, it would really give me a fright! The landscape of beautiful London has changed so much since I last visited many years ago. We'll have to do it again before time marches on too far! Fingers crossed for the two projects. My, my, you have been busy. So where will KEMAR go? I hope he has a new home. I love to find plants that have spawned from the seed of another. However, I will always move them to another place or replant them in a pot and give them to a friend. I wish you luck on your new projects. Great post Jenny with lots of lovely photos. 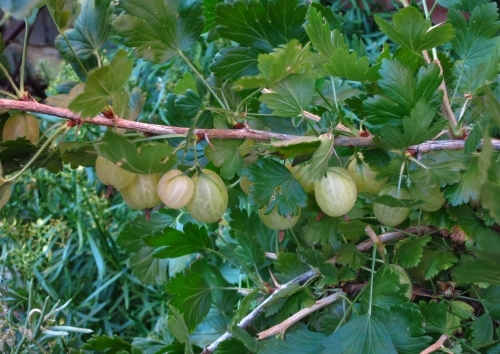 I remember the gooseberry bush in my Dad's garden when I was young. Mum made some lovely pies with them as did she with the wild blackberries which we would pick off the hedgerows down the country lanes. Good memories! Looks like Kemar is going into retirement just like my dear husband, and thank you for the sweet comments on that as well as my birthday. Very much appreciated by both of us. Gregg likes to read everyone's comments as much as I do and today's particularly gave him a big smile. Oh where will KEMAR go? I love the park scene. I do think it looks very magical. One does expect to see fairies playing in and around the brush. Sounds like you have had a very busy week. I hope you find a bit of time for a rest. 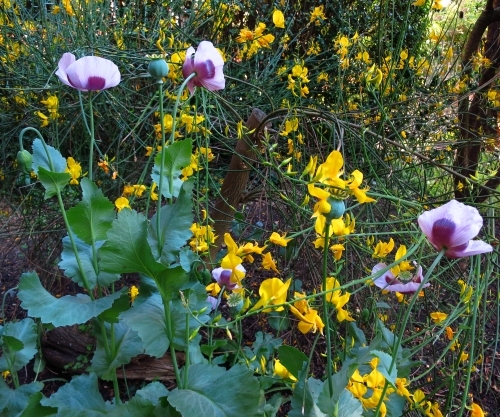 We have poppies all over the garden as well. Luckily we both like them. I don't think you can get any serious work done in a coffee shop. But it's a good setting to get to know people you are or will be working with and establish some common ground. The picture of the river and the statue is so beautiful! It really could be the setting for a film set in a magical world. I think you should write a science fiction book about KEMAR, that book is just asking to be written! Oh Jo, Raynes Park is so familiar to me, my family home was there, and T grew up in Morden. This is why our friend is there, really - from way back. Unlike GB the memory of the gooseberries in our grandmother's garden fills me with dread. I hated them - the texture and the taste. I have the same problem with my phone camera - it seems to use a very slow speed and needs to be kept very steady. You seemed to have packed more into a single week than I do in half a year. Of course, London affords a few more opportunties than west Texas (that was a feeble attempt at humor). It was 110 degrees last week and I wasn't in the mood to do anything. As for gardening - it takes too much time and effort (not to mention water) to grow anything in Texas, so I've abandoned my gardening skills. Jenny, I see you had very busy week! I love gooseberry as well but mine suffered of the bad flys and many berries have fallen down. The Morden Hall Park looks very quiet and nice. I hope you had relaxed there. Best of luck to KEMAR! Just remember that you'll never succeed in life if you don't learn how to speak up for yourself. You've been busy, here, there, and everywhere. Enjoy those berries, and the beautiful poppies. I love poppies. Always have. Funnily enough, I was taking photos of poppies with my own camera just the other day. I wish they would grow in my little garden, but I think it's too damp. Your poppies are a lovely colour. Good luck on your PBS project! I'm not a very good gardener either. I have a neighbor who repeatedly tells me I need to trim my rosebushes. They were out of control when I bought the house and haven't gotten any better since then, despite me trimming them every spring/summer/fall. Last week, she hired someone to come over and do it for me without my knowledge. I didn't let the guy do it though. I'm still kind of ticked at her for doing that. Don't think I've ever tasted a gooseberry before! The park is stunning -- how wonderful to share a visit in such a beautiful spot with your friend. And I love YOUR garden. I would take Jenny Appleseed as a compliment, I think! Much better that way! Fingers remain crossed for the BBC gig. I know all that takes a ton of time and I don't know a lot about your project. But I know how you write and how you illustrate and can only imagine that as video! What is to become of Kemar? I hope the BBC thing works, love your garden, too. As a matter of curiosity, was that park accessible to people who self-propel rather than being pushed by someone else? I used to eat gooseberries all the time as a kid (my parents had a bush or two in their garden), but haven't had any since I left Germany. I've seen them in the grocery store once or twice - I guess they are considered a "specialty item" here and they were very expensive. Thank you for visiting my south Texas blog. 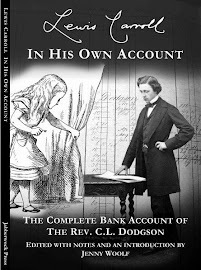 If my daughter was a blogger she would love your's as she and her family lived in England for three years and loved it. Kemar looks so much like some android or character in a science fiction film. The kind who was built as a machine or clone then somehow develops a consciousness and realizes he is unique. Where is he going? Will he be able to do any more audio tests (out in the woods?)? I hadn't heard of the Shard but it looks fascinating and aptly named. Gives deeper meaning to cutting edge! I hope you are having a terrific summer. A wonderful catch-up Jenny, a lot of fun, information and pics! 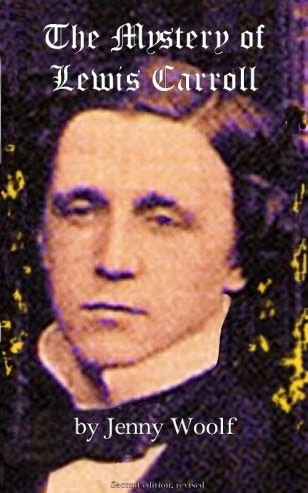 You know those are opium poppies, don't you? It looks as if KEMAR knew! Thanks for the further comments. I'll be offline for a little while so may not be able to respond too fast for a bit. And no, I didn't realise they were optium poppies - I wonder if anyone else does? ha ha they won't be moaning then :) The park is not as accessible to wheelchair users as it should be, although that is partly because some of it is semi wild and other parts are historical (so have bridges etc. which must be preserved, but were built before the days of wheelchairs). The National Trust generally is very wheelchair and disabled accessible. KEMAR has gone to a new home where s/he will have to continue working, so s/he needs to put the woodland retreat on hold for a while yet! S/he passes on thanks for all the good wishes for his/her future! I usually put gooseberries into a crumble. These are quite nice to just eat, as they are not to sour and green. And there are more yet to pick, I just haven't had the time or bravery to face those long thorns. Poppy's do spread, that's why I like them. However neighbours might get a bit annoyed. How lucky to have any sort of garden to grow some food for yourself, especially the stuff that does all the work. I love the retro logo, and I want to sit in London Bridge cafe. I am jealous. Good luck with your project. Cheers! I have lots of opium poppies in the garden too - I love them. Some resemble red pom poms. Just wish they would last longer than a couple of days. Opium poppies cultivated in the UK do not require a license, but extracting opium for medicinal products does. 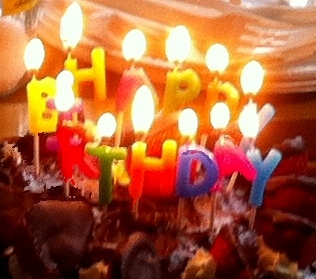 The cake sounds fantastic and blurry candles often look more interesting I think. I've lost my opium poppies,don't know what that says about my gardening methods...or lack of them! Jenny, you seem to be a person who can’t sit still. It’s not bad at all as long as you’re in fit. “Kaleidoscopic week” is a good naming. I’ll put it in my vocabulary as an English learner. Your week really consisted of various different colors and patterns. Variety is a spice to life. Nice lot of news you've shared here, Jenny. It was worth the wait for another post from you. I have an article on the Shard for sale at Constant Content. I thought it would be snapped up but no takers as yet. I've visited Morden Hall in the past but not seen that statue. Like another commenter I think it's time to go back. I shall look it up in my NT yearbook. What a beautiful setting this Morden Hall Park is. I love gooseberries and blackcurrant but we cannot get either bush in Georgia – cannot find the fruit to buy and blackcurrant jam is always imported. My mother had blackcurrant bushes in her last house in suburban Paris – she made liquor from it. In France we call blackcurrant “cassis” and it is a popular flavor – not here in the US – can never find it. To have neighbours who are pastry chefs! What a delicious luck! The birthday cake sounded one of a kind and yum! Do you ever rest on your laurels? This is a breathless post, if you are cramming in as much as this in a week, do you need crutches to keep going? It’s all wonderful, of course, life as it is lived by the young and energetic, living within stone-throwing distance of all things interesting. Good luck with the projects. May I just respectfully say that I loved your photo of The Shard but hate the actual building? The angle you chose was very intelligent and the subsequent photo really beautiful. I love London's cafes. And I know that work gets done in them. :-) I have done it myself. Jenny, you are always on the go and create posts that really make me smile! London has so much history and I love that there are secret gardens tucked away in the crazy large suburbs. I think you need parks and gardens with beautiful trees to escape the dreadful traffic. I have to say though, London does have the best shops and cafes. Love that it is berry season, time to make some pies with all the fruits. Well, it looks like you had a busy week! I can't wait to read more about your projects. Oh, and I am a rotten gardener too. As for cafes, well, I work in them all the time. Thanks for the comments. I do appreciate them all. Jean, now I'm home I'll look up your article. kuvat ja tarina on yhdessä oikein kiva.